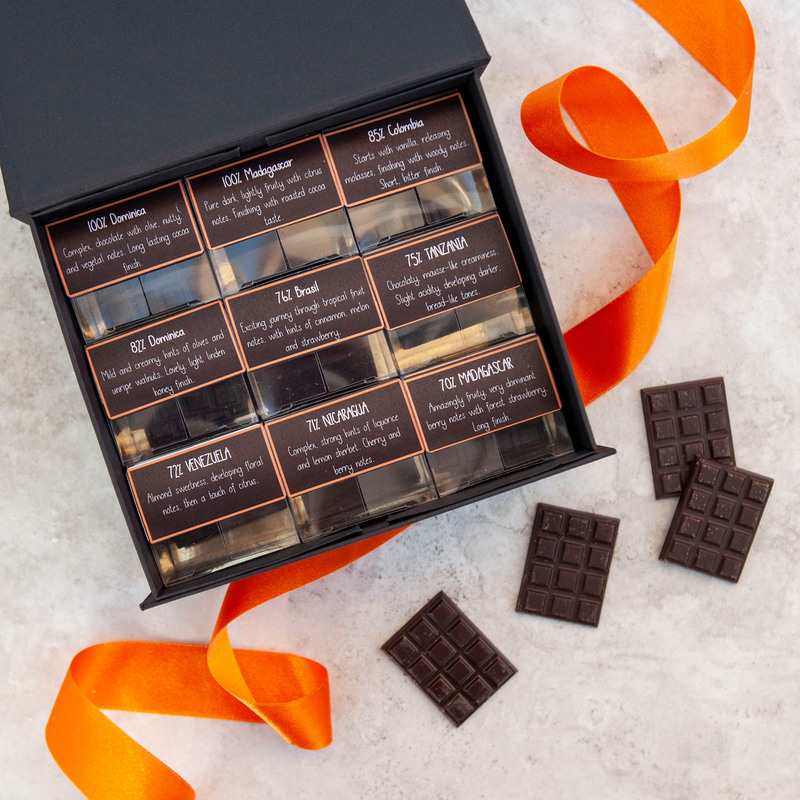 Discover the delicious and complex world of dark chocolates with this carefully chosen dark chocolate selection. Madagascar, 100%, Dominica, 100%, Colombia 85%, Dominica 82%, Brasil 76%, Tanzania 75%, Venezuela 72%, Nicaragua 71%, Madagascar 70%. 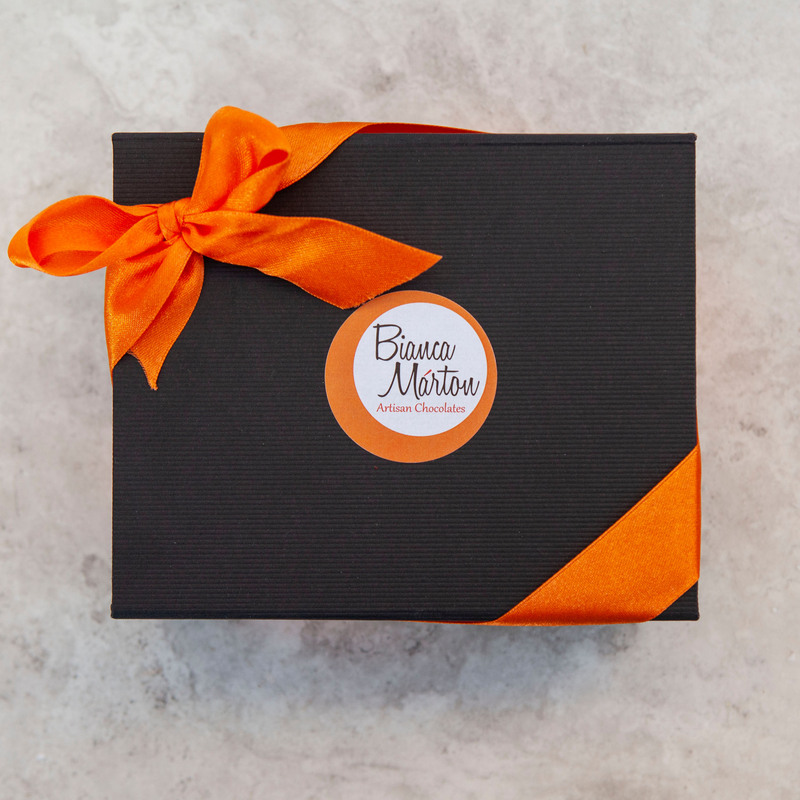 The box includes a guide to chocolate tasting, and description of the chocolates included in your gift box. Fun, delicious, informative. Great to share with your family and friends. All chocolates are dairy free and suitable for Vegans.